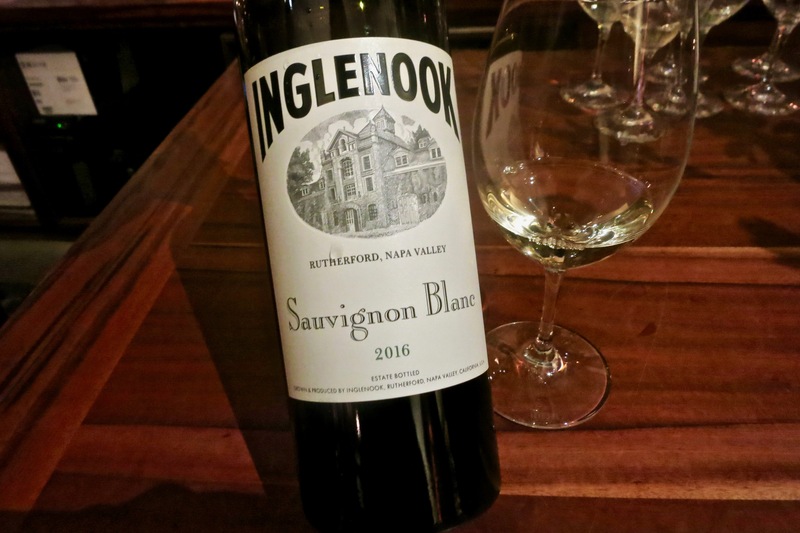 Back in 1871, a man called William Watson, the son in law of George C. Yount (the founder of Yountville), bought the 78 acre piece of farmland and decided to name it Inglenook, which was a Scottish expression meaning “cozy corner.” A few short years later in 1879, he would go on to sell the farmland to a judge Serranus Clinton Hastings (founder of the University of California Hastings Law School), who in turn eventually sold it, and an additional 440 acre farm to a man called Gustav Niebaum from Finland for the modest price of $48,000. To be fair, that amount of money today would be in the multi-millions. Gustav, was a prominent fur trader who had established the Alaska Commercial Company, with a fortune in the millions, if he were alive today, he would stand with the Billionaires. After purchasing the land, Gustav decided to keep the name Inglenook and make a winery out of it. 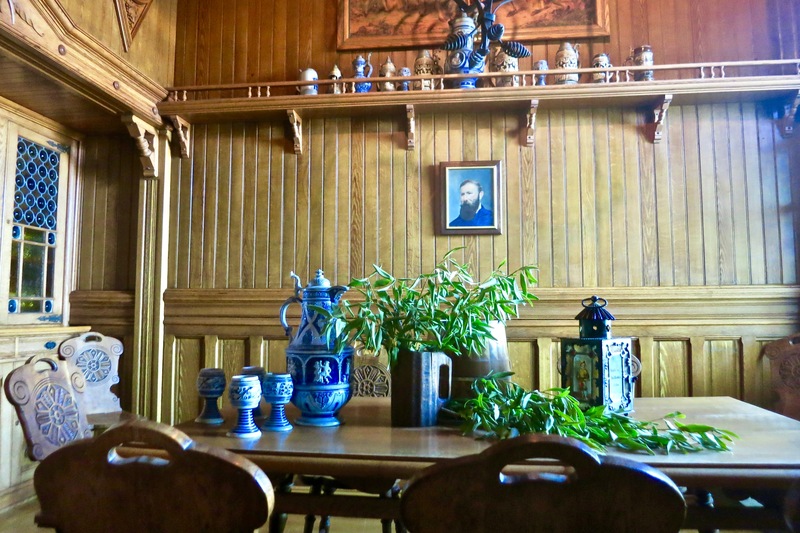 He went on to hire William Mooser and Hamden McIntyre, an architect and designer respectfully in 1881 to build him a grand chateau. 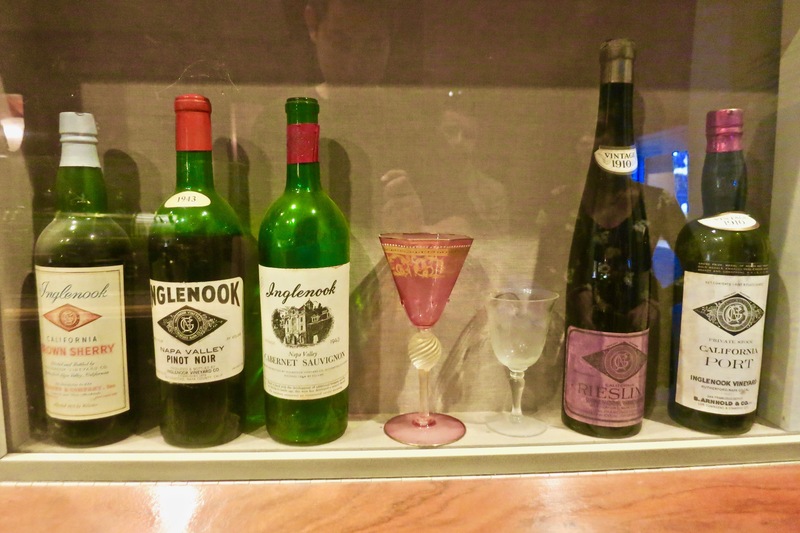 By 1882, Inglenook was already producing thousands of gallons of wine. In 1887, the chateau was finished and the Inglenook brand had taken off, being served to people all over, even President Harrison. In 1908, at the age of 66, Gustav Niebaum passed away, and with his death, the winemaking process ceased for a few years. Mrs. Niebaum, carrying on his legacy re-opened the winery three years later, and wine continued to be produced until Prohibition. By 1919, Prohibition had hit, Mrs. Niebaum had already passed away, and the winery was shut down again. 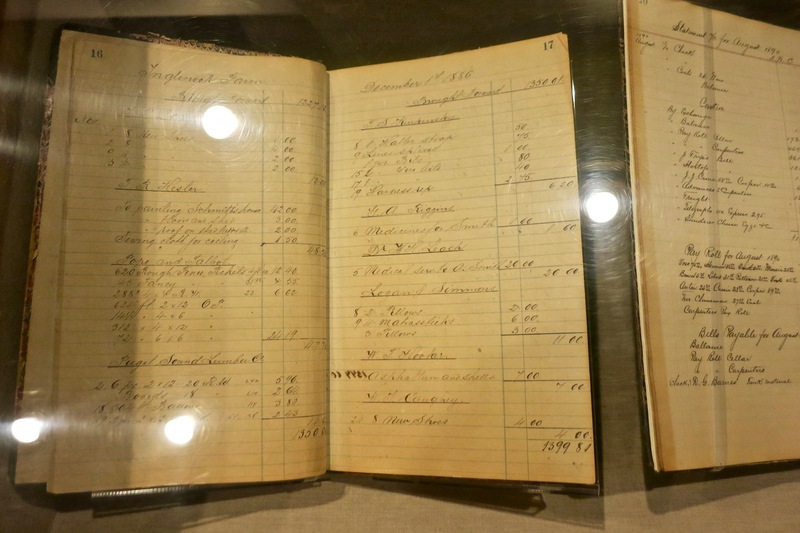 It wasn’t until Prohibition was lifted in 1933, did production resume under the son John Daniel Jr (grand nephew) with the winemaking talent of Carl Bundschu (Gundlach Bundschu). Many years would pass with Inglenook gaining accolades left and right, with reputations soaring, and all seemed well until 1964. With a small harvest, equipment needing repairs, and quality control slipping, things started to spiral out of control. 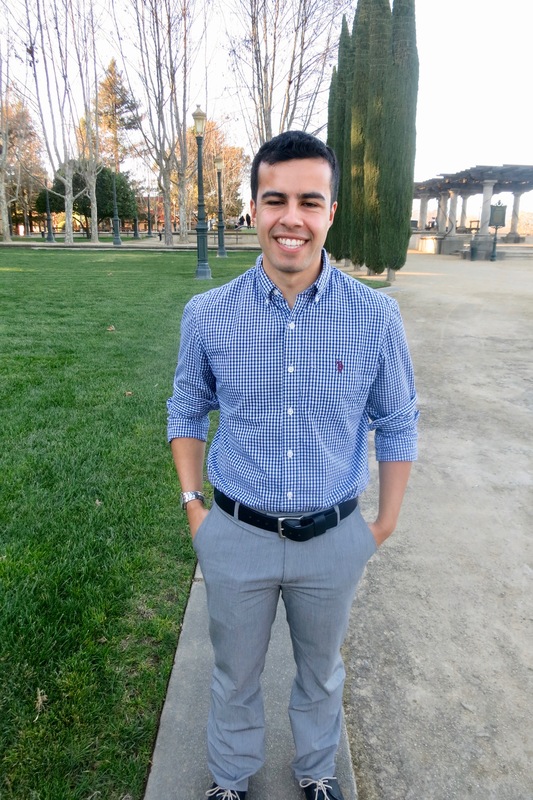 John Daniels Jr. is forced to sell Inglenook to the Allied Grape Growers. They go on to creating United Vitners, who would then go on to sell a majority share of the company to Heublien Incorporated, which in turn acquires Inglenook in 1969. One short year later, John Daniel Jr. passes away. 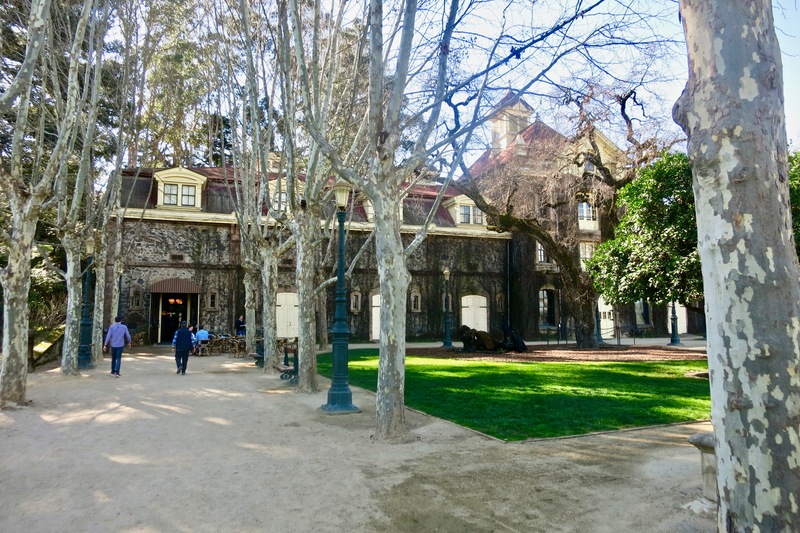 In 1975, in walked in Francis Coppola (this is where most of us know what Inglenook is), who buys 1,560 acres of the Inglenook Estate with profits from The Godfather. 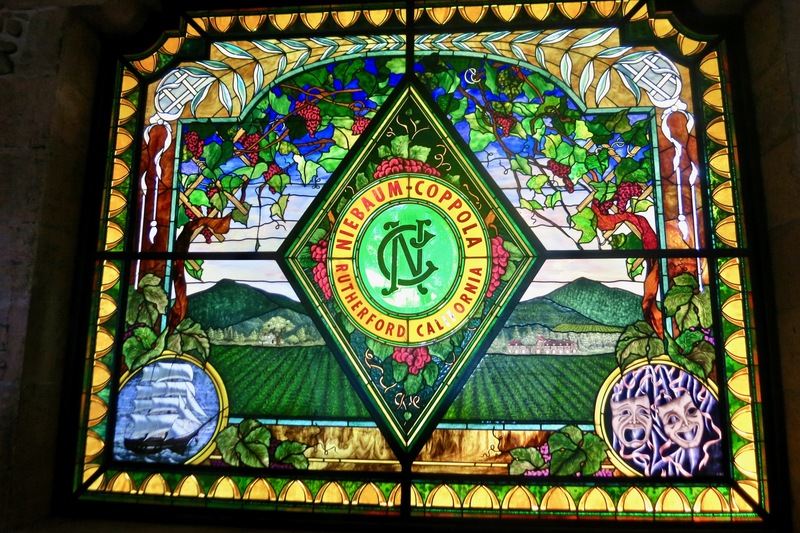 He join their names together in the French tradition, creating Niebaum-Coppola Estate Winery. In 1978, Coppola had his first harvest, and subsequently created Rubicon, named after a river Ceasar crossed in Northern Italy with the order of no going back. This would define Coppola’s vision on creating world class wine. With Niebaum-Coppola already eclipsing its 100 year anniversary, Andre Tschelitscheff joined as consulting winemaker of Niebaum-Coppola in 1982, and coined the term “Rutherford Dust” while subsequently helped release the 1978 Rubicon (which spent an insane time in casks, barrels and bottle) in 1985. 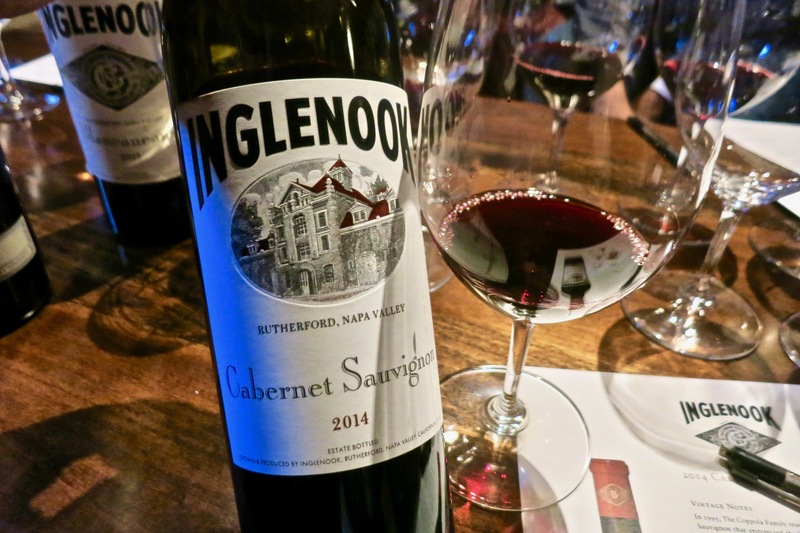 Years of success would continue down the road, with the praise of a 100 point score by Wine Spectator in 1990 for the 1941 Inglenook Cabernet Sauvignon. In 1991, Scott McLeod (renowned wine consultant now) joined as head winemaker and Rutherford officially gets recognition as an AVA. With profits from Dracula, the Coppolas purchase the last remaining piece of the Inglenook property and reunited the property and Chateau together in 1995. Shortly after in 1997, a newly renovated Chateau was reopened. 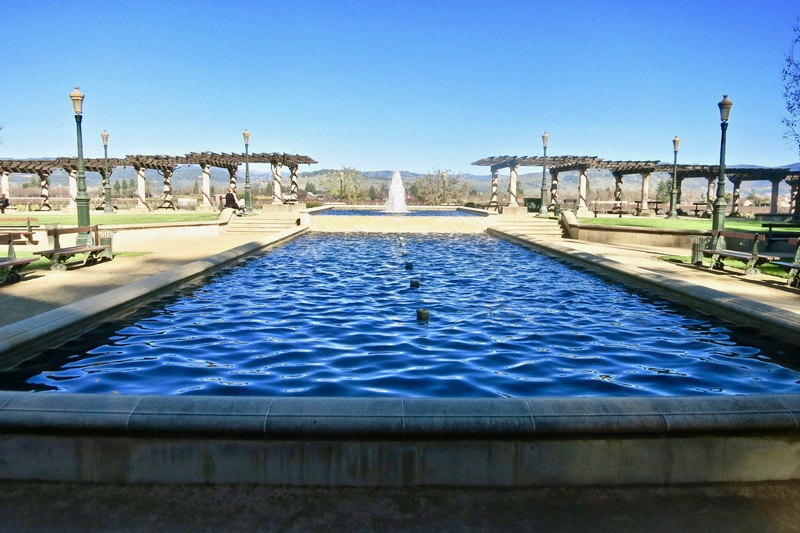 The Niebaum-Coppola name would change to Rubicon Winery in 2002 with the acqusition of the 36 acre vineyard owned by J.J. Cohn. 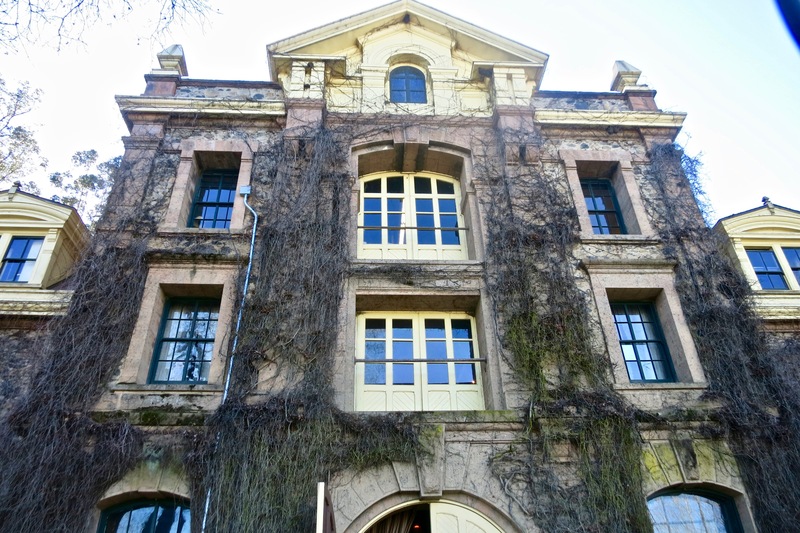 The name would remain until 2011, where Coppola would then buy back rights to Inglenook and subsequently appoint Philippe Bascaules of Chateau Margaux to become General Manager to create wines that challenge the very best of Europe. 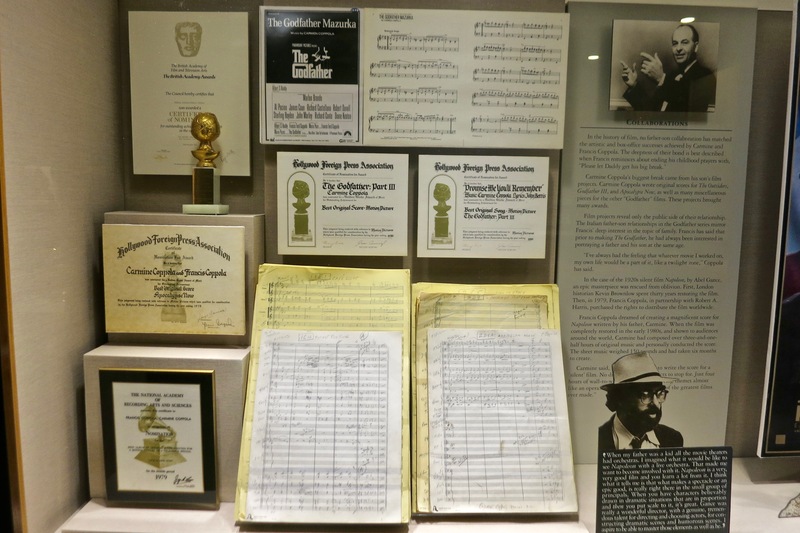 Now all of this was told to us at a dizzying rate of information, not to mention a massive tour of the property where we got to observe old bottlings, to rare collections of various things that Coppola collected, as well as some hollywood memorabilia. However, pictures speak a thousands words, so we’ll just go with that for now. Or, better yet, come take a tour and see for yourself all of the amazing things that we didn’t list (seriously we’ve only covered about 30%). During the tour we luckily had something to drink, which helped us soak the information better, but by the end of it, we were more than ready to drink. We made our way to a swanky private tasting lounge and began our long anticipated tasting. Notes of grass, citrus peel, honeysuckle, green apples pears and grapefruit. A slight hint of oak gives it some body to this extremely refreshing and crisp Sauvignon Blanc. Clean acidity and minerality give this it a bright crunch. We gave this 89 points at $35/bottle. Now this was definitely a fun wine, with a rather uncommon (at least in Napa) white blend of Viognier, Roussanne, and Marsanne. Notes of apples, white florals, lemon, a hint of nuttiness, guava, pasisonfruit, and pineapple. Tart on the palate, with rich stone fruit, and really clean acidity and minearlity. Really a wine to geek out on. We gave this 92 points at $65/bottle. 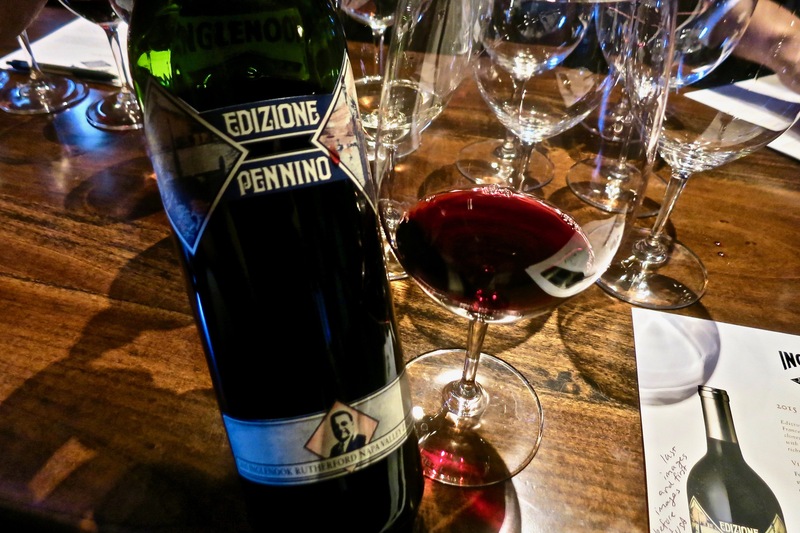 The name, paying tribute to Coppola’s maternal grandfather, Francesco Pennino is one of the more refined zinfandel’s we’ve come to taste in a while. Notes of blackberries, baking spice, pepper, raspberries, cocoa, a hint of vanilla, and red cherries. Not overly extracted, the fruit and gentle spice really shine here. We gave this 91 points at $48/bottle. 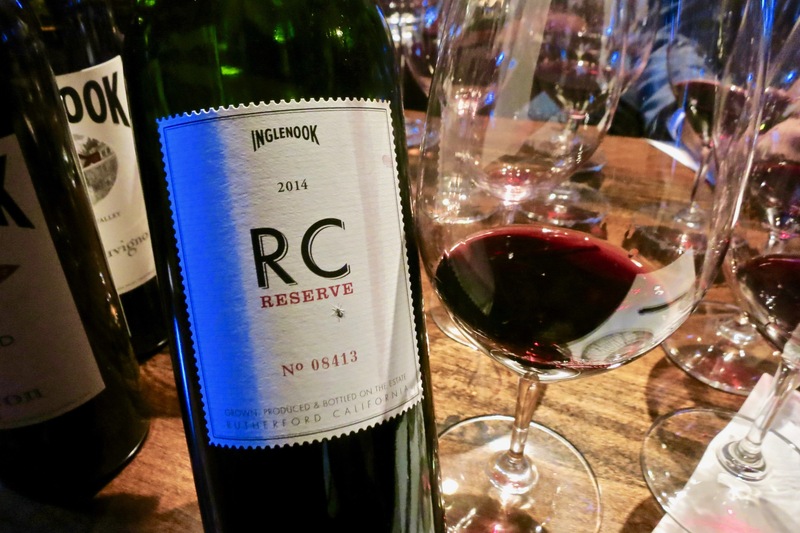 Formerly known as the CASK bottle, this Cabernet really shined in aspects we did not expect. Notes of cassis, plum, clove, dark chocolate, graphite, black currant, blackberries, cigar box and smoke. Really nice mouthfeel that isn’t overbearing, there is a lot of restraint and elegance shown in this wine. Well balanced, aromatic, fine tannins and acidity really make this a well-rounded wine. Not a wine for big fruit seekers, but for those who seek purity and finesse. We gave this 93 points at $75/bottle. 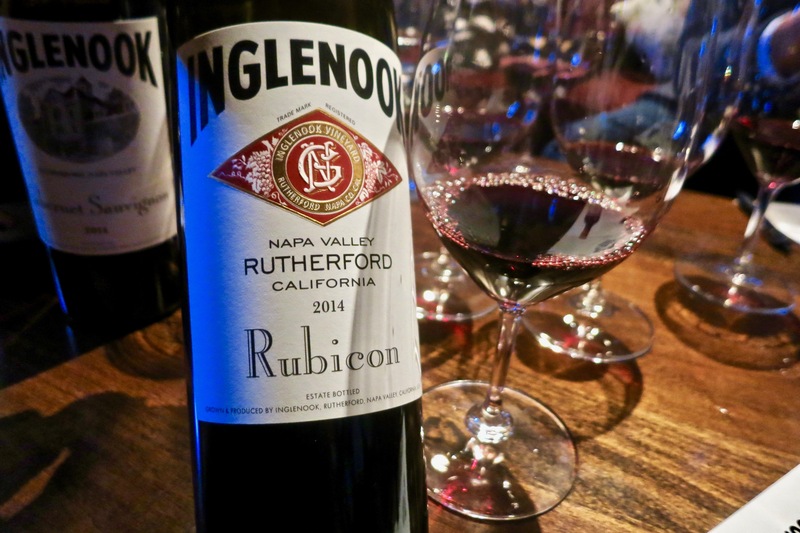 The flagship Rubicon, did not disappoint, especially with such a good estate cabernet showing right before. Notes of cassis, dusty blackberries, graphite, cocoa, oak spice, vanilla, plum, and black cherries. Definitely a more full and rounded wine, the fruit showcased is intense and focused. Seamless tannin integration, good acidity, and a silky-textured finish is everything to like. Will definitely improve with age, and again, it shows restraint and finesse. We gave this 94+ points at $210/bottle. This was supposed to conclude our tasting, but our gracious host had something extra for us! Named and created by Roman Coppola, who is an avid fan of Syrah, this wine was made to pair with cigars. Notes of tobacco, peppercorn, raspberries, bramble, blackberries, leather, chocolate, black currant and smoked game. Probably the biggest of the wines, the palate packs a punch of intense dark fruit. Inky, perfumed and dense, the mouthfeel is lush, and is rounded out nicely with well integrated tannins, and medium acidity. Definitely not showcasing the finesse that seems to run along most of the wines, but still very good and expressive. We gave this 92 points at $62/bottle. 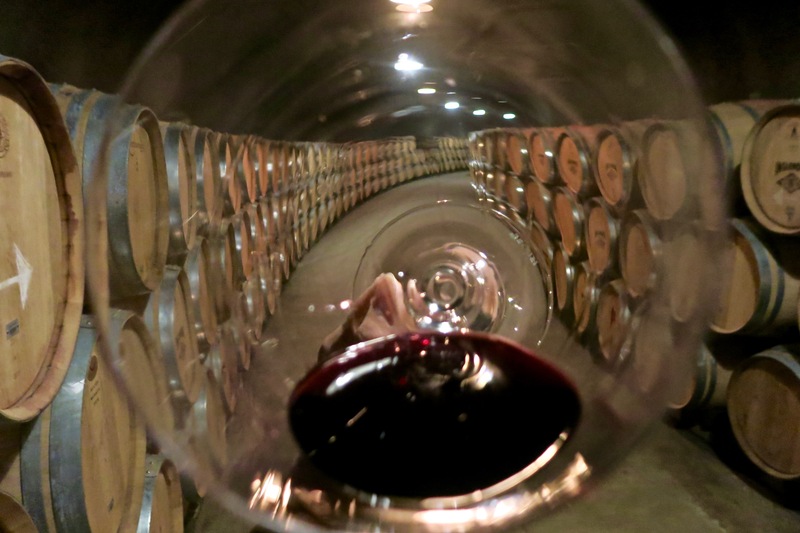 We took our pours of RC Syrah and went for a brief tour into the infinity caves, because who doesn’t like caves? Although the cave was like many other caves we’ve been in, it was still fun to see the cooperage program and abundance of barrels/wine. Shortly after our cave walk, our tour concluded. 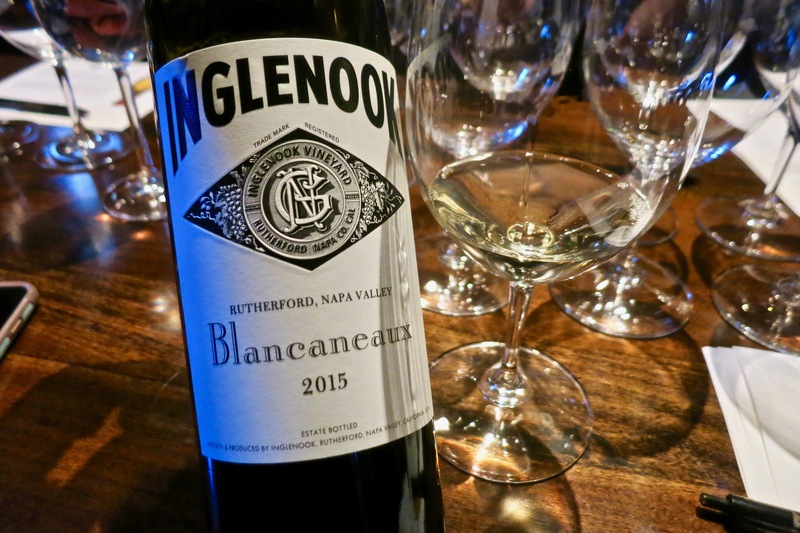 Inglenook is definitely a history winery steeped in tradition and good winemaking. 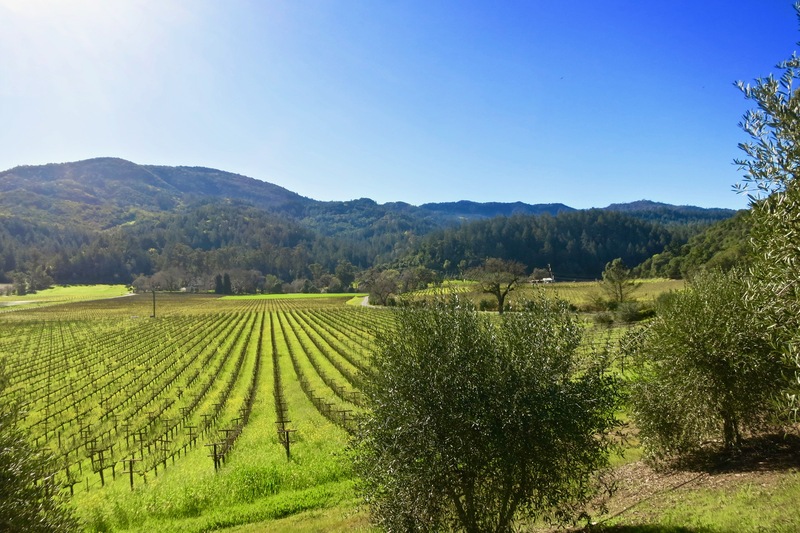 Although many new flashy wineries have sprung up and taken some of the starlight away from places like Inglenook, its always a more than great idea to come back and visit the classics. “Why?” you may ask, because classics always stand the test of time, and Inglenook has done just that with wine and culture. 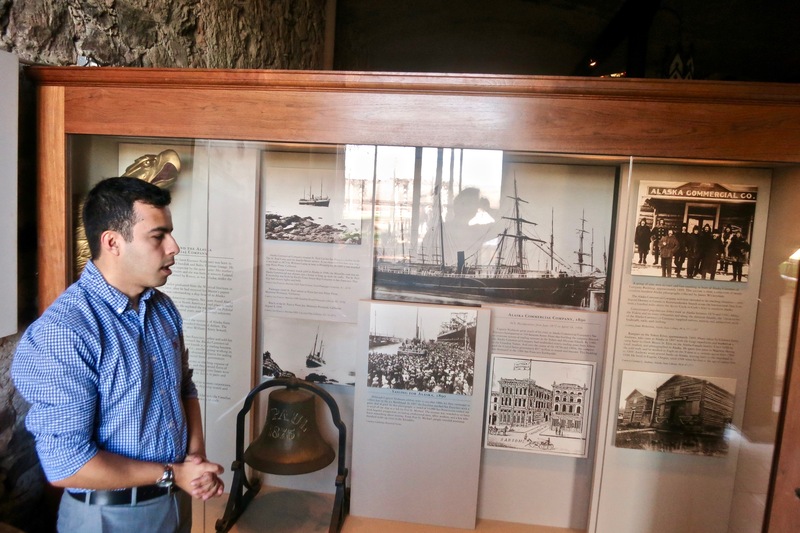 A big thanks to our tour guide and gracious host Horacio Arcila!